After a long winter spent deep in the creative process, the Gnosis dancers are proud to present our new work in progress, “Awake In” at this month’s Bay Area National Dance Week. 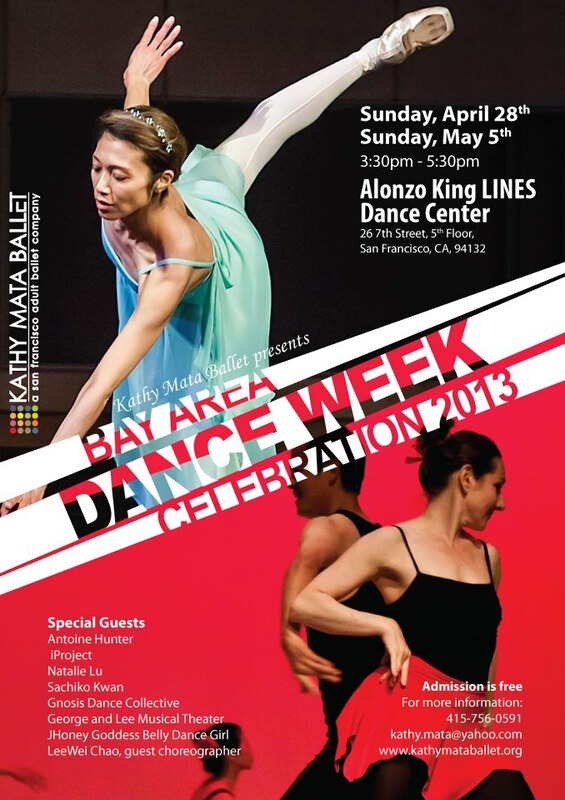 Once again returning to the stage with Kathy Mata Ballet and guests at Alonzo King’s LINES Dance Center, we will be presenting an experimental modern piece that explores a new edge for Gnosis Dance Collective. Incorporating organic sounds and movement with highly improvised choreography, Gnosis sets out to explore the inner and outer limits of the human body. We hope you will join us for what’s sure to be a fun and surprising sneak peek at this emerging creation! Admission is free and Gnosis will help kick off Dance Week as guest performers at this wonderful event on Sunday, April 28th only. This entry was posted on Wednesday, April 10th, 2013 at 5:11 am and is filed under Uncategorized. You can feed this entry. You can leave a response, or trackback from your own site. « Happy Holidays to YOU!